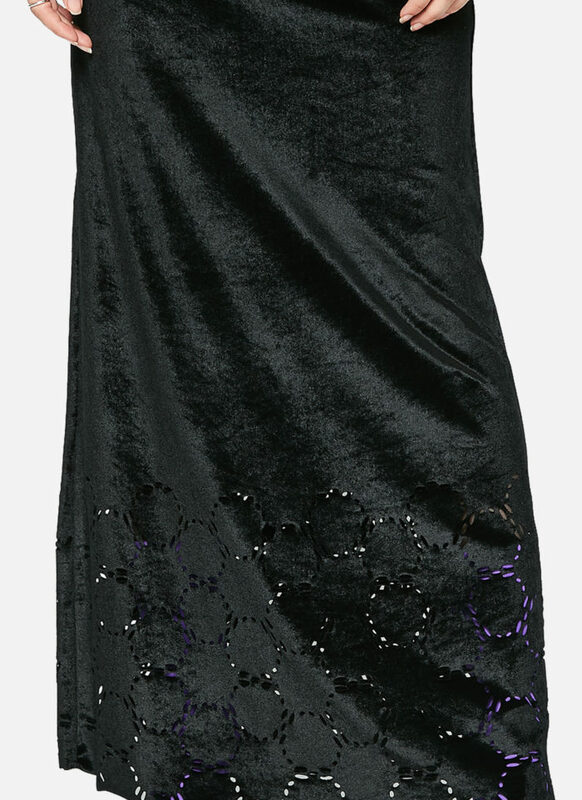 Leggings in stretchy fabric with laser-cut details at hem. 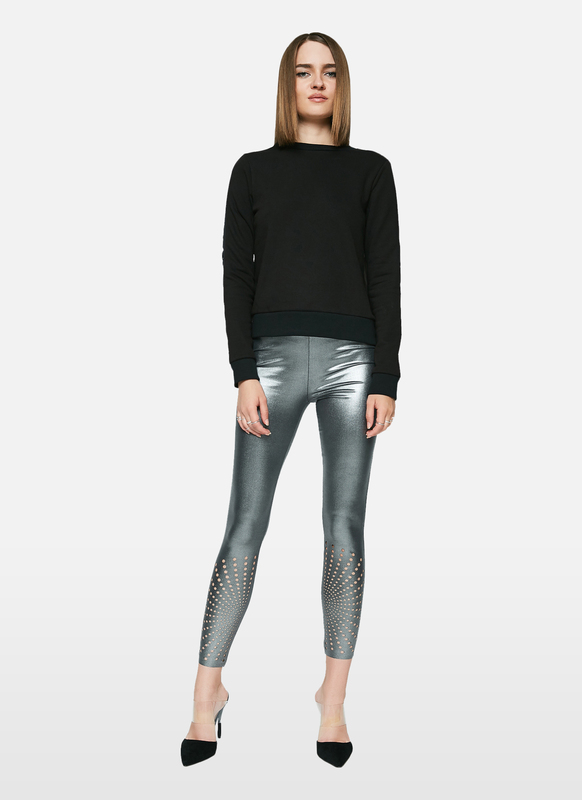 These leggings are made from matte metallic fabric and feature a geometric pattern at their hem. This pair has a high-rise waist and skinny legs to create the illusion of a longer frame. Style yours during the day with a hoodie and sneakers, switching to a glossy top and pumps for evening events.